Because it’s October, it’s naturally time to start thinking about scary things. Like ghosts, Frankenstein’s monster, my upcoming show deadlines, and the fact that my retail job will be insufferable from November to January. I was asked a few weeks ago to participate in a gallery show near Halloween, so of course it was somewhat horror themed. But instead of giving the artists free range, the theme was a bit more polished- things that scared us as children. 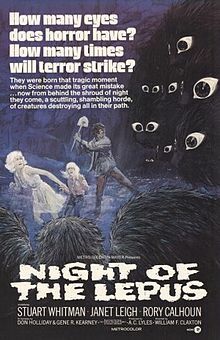 After quite a bit of thought (I have a terrible memory, so remembering things that scared me as a kid isn’t very easy), I suddenly remembered a movie I had seen as a child that had managed to follow me into adulthood: Night of the Lepus. The movie isn’t the most terrifying, but it certainly made an impression on young me. One scene in particular, featuring killer rabbits leaping onto a herd of horses from the top of a canyon, stuck with me. I’m not sure how I managed to see the movie as a kid, and when I asked my parents about it a few years ago, they had no memory of even watching the movie in the first place. After a few interesting google searches in college, I found the movie, quickly rented it, and fell in love. And who knows? Maybe this is where my love for cheesy old genre films began. With sneaking a peek at this movie as a little kid. No wait, that’s absolutely terrifying. I quickly decided that I needed to pay tribute to this film. You guys, I love it. The gallery show opens this Saturday, October 6th, at Meltdown Comic in Los Angeles, and stays up until the 19th. Here’s all the info you need. Another one of my pieces, “The Abhorsen’s House,” will be at the Hive Gallery in downtown LA, also opening on the 6th and running until the 27th. And there’s another project I’ve been working on, but details will have to wait until next month. Anyway, I had to comment as I saw that movie on TV years ago! it is truly dreadful, in a ‘why did they ever actually make this film?” kind of way. 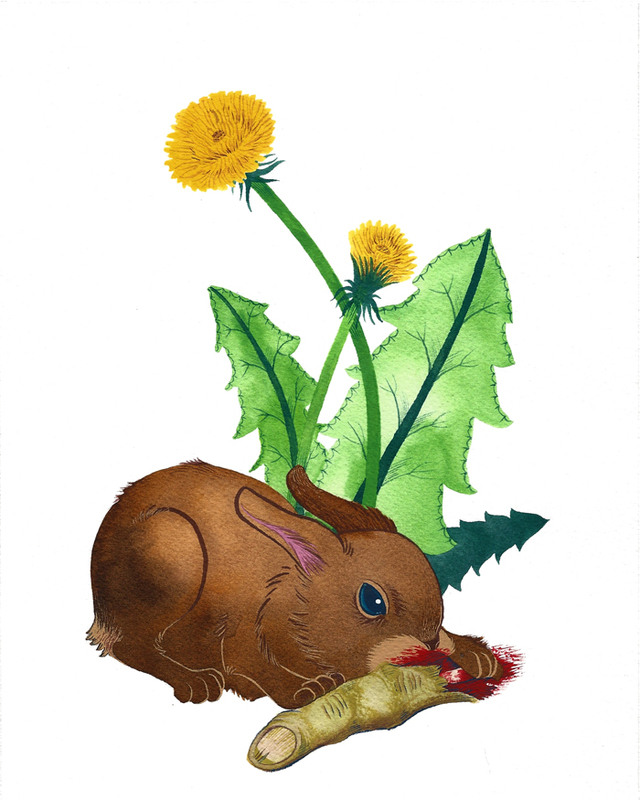 Rabbits just can’t be scary, all they ever do is lollop around, being rabbits, even when blown up to giant size and with overdubbed roars (!?!) and people running away going “aaaaargh! 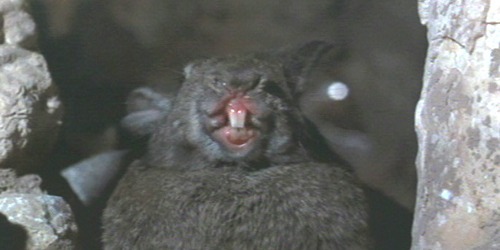 !” they just look like rabbits being rabbits! Check out ‘Santa Claus Conquers the Martians’ next. . . that’s pretty dire.